Want to get better at Brawlstars? Poco plays his swan song at the very moment he expires. Friendly Brawlers around him recover 1000 health! 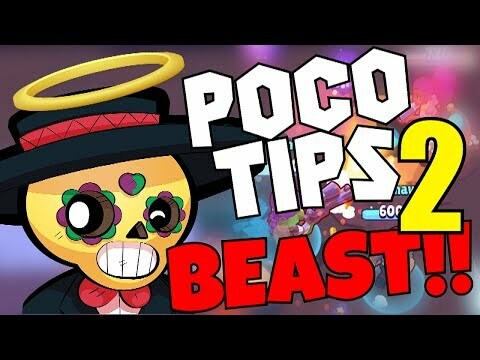 Poco is great at poking Brawlers with short range. His super heals allies in range, allowing to last longer in prolonged battles. Poco excels in Bounty and Smash & Grab due to his range poke and heal. He has strong map control due to his good range. 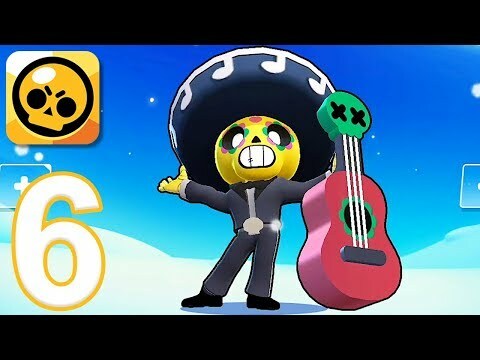 Poco can kite Brawlers like Bull and El Primo relatively well as long he is out of their range. Poco doesn't do well in terms of burst damage, so he doesn't do well in 1v1 battles. Showdown is a tough map for him. Poco can't deal enough damage to fend off El Primo or Bull should they close the gap with their respective supers. Poco should always stay with his teammates so he can heal with his super should the need arises. In maps like Smash & Grab, you will always want to be in the center to poke any enemy that wants to grab crystals. The goal is to poke and gain map control. Always be moving around to make yourself unpredictable.